This week's kit is especially for those girls in your life. It is an all girl themed kit, named My Girl." I have used the Adventure Fundamental papers from Close To My Heart along with the My Girl Complements. The look really pops on the all black base pages. 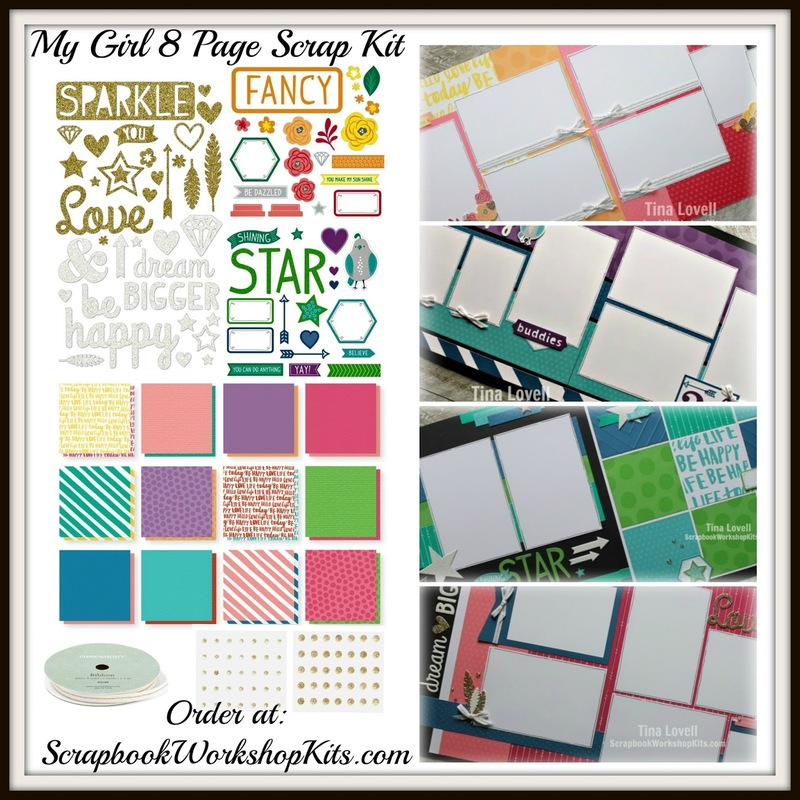 As always, my kits come pre-cut and ready to assemble with everything you need to create all 8 pages. Along with your mailed kit, you will receive it a set of emailed photos and instructions. This kit is now sold out but I do have cutting and instruction templates available for FREE with a $25 purchase from my website.